Why does Apple Publish Supply Chain Information? According to foreign media reports, 100% of all smelters and refineries identified in Apple's supply chain have participated in and completed independent third-party conflict mineral (3TG) audits for three consecutive years. Recently, Apple announced the information of gold, tantalum, tungsten, tin and cobalt smelters and refineries in these supply chains on its official website. As of 31 December 2017, 250 mineral suppliers have been identified. Currently, the program includes sources of gold, tantalum, niobium (columbium), cassiterite, wolframite, tantalum, tin and tungsten. Apple took the lead in tracking tin, tantalum, tungsten and gold (3TG minerals) throughout the supply chain from manufacturing to smelters in 2010, according to Apple's official website. 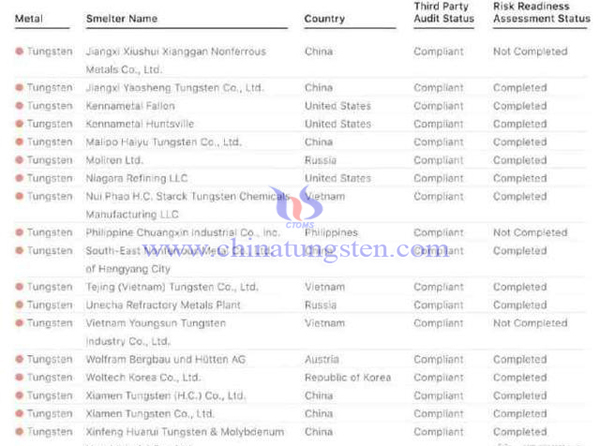 It also took the lead in publishing the list of smelters in the supply chain. Apple also started tracking cobalt in 2014 and completed the work in 2016. In 2017, all the 3TG mineral and cobalt smelters confirmed by Apple participated in the third-party evaluation process for the third consecutive year. Why did Apple do that? This is related to a relevant bill in the United States. It is understood that the Great Lakes region of Africa is one of the most abundant resources of gold, tantalum, tungsten, tin and cobalt in the world. But there have been many wars all year round, massacres and ethnic cleansing incidents in earlier years, political chaos, many opposition or regional weapons use the mineral resources in the area for war resources, because there are no legal constraints, pneumoconiosis, radiation, mining accidents, child labor incidents are common. In short, the illegal mining profits made by the local military groups in these areas are exploited and stolen from citizens, and the income is used to create war, slavery and chaos. Several well-known mobile phone companies in the United States have been criticized for using tantalum, tin, tungsten and gold in conflict zones. On July 21, 2010, the U.S. Congress passed the Dodd-Frank Wall Street Reform and Consumer Protection Act, requiring all U.S. businesses to refrain from using metal minerals in conflict zones. The conflict metal mainly refers to tin, tantalum, tungsten and gold, referred to as 3tg, while the conflict area refers to Congo (DRC), Rwanda (Rwanda), Uganda (Uganda), Burundi (Burundi), Tanzania (Tanzania) and Kenya (Kenya). It is said that after the implementation of the Act, Apple also declared that it would no longer use 3tg minerals. In a very short time, most countries and regions in the world issued similar bills or spontaneously implemented the standard. Therefore, Apple will publish its supply chain information every year to declare the traceability of the raw materials it uses, without violating the relevant laws. 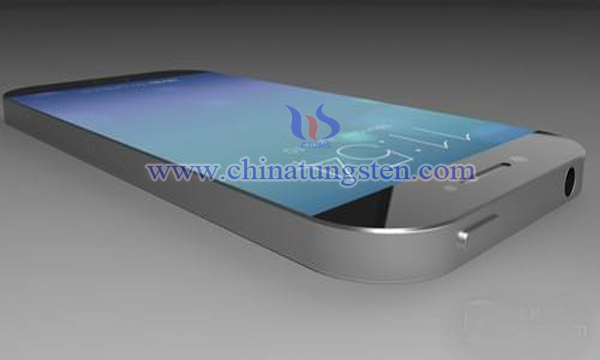 So, since tungsten is also found in the iphone, what is the application of tungsten in the iphone? It is understood that alloy oscillator, PCB heat sink material, resistance layer of memory and motherboard, electrode material and heat dissipation layer of LED display screen all need to use tungsten. Its proportion of total fuselage weight is not high, but its function is difficult to replace.